The Londyn earring falls into every category - classic, timeless, and trendy! Need a bold statement accessory that won't disappoint? Let these Ivy's say (or shine) it all for you!! GOLD EARRINGS FOR WOMEN - SEEN ON TODAY SHOW - MSRP $150 - The Norah earring falls into every category - classic, timeless, and trendy! Need a bold statement accessory that won't disappoint? Let these Ivy's say (or shine) it all for you! 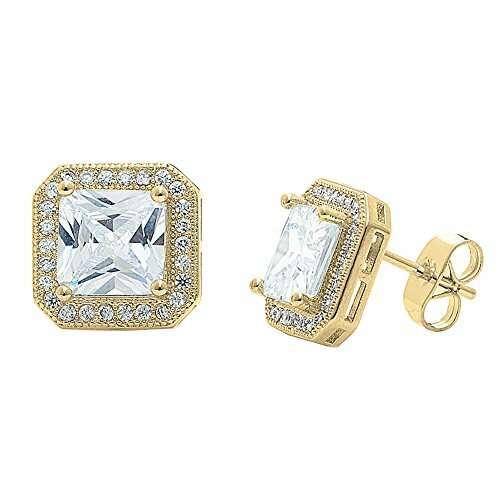 PRINCESS CUT GOLD EARRINGS - Gold plated earring with Cubic Zirconia stones. This is the perfect gift for the amazing woman, she will not be able to wait to show off her new princess cut earrings to all of her friends! GEMSTONE EARRINGS FOR WOMEN - Are you hoping to impress the girl you have been dating a while with new jewelry? These rhinestone earrings will be the perfect addition to any jewelry collection with its gold plating and beautiful crystals!